Note: Dont go with Description, we just given as example. 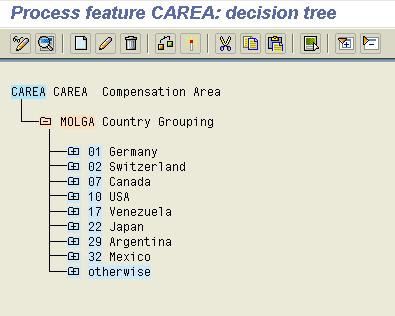 In this step, you define the decision tree (feature) that associates your employees to a compensation area. 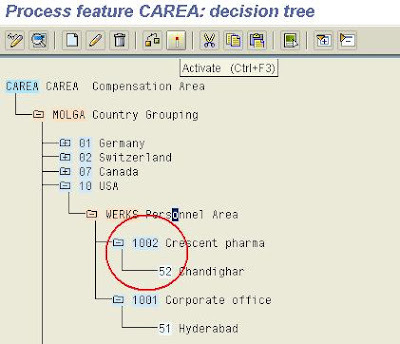 For more information on editing features, see the SAP Library under Human Resources -> HR Tools -> Features Editor. In this step, you define your planning periods. 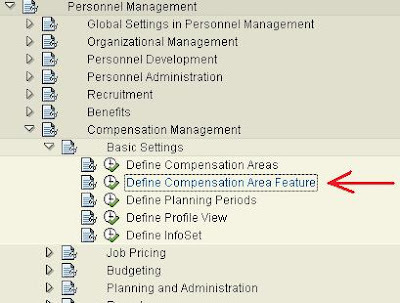 The planning period is the period during which the compensation adjustments are applied. The planning period does not have to be a calendar or a fiscal year. 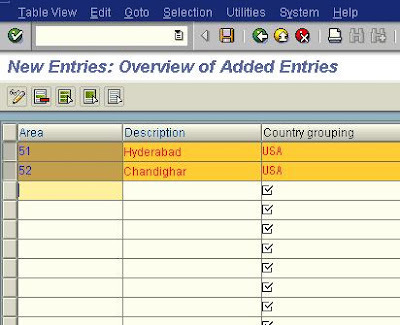 The SAP R/3 System contains sample entries that you can either use or modify to meet your own requirements. 1. 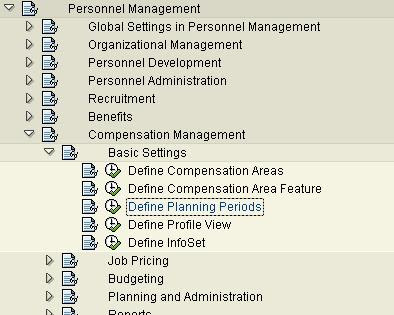 Determine the plan periods required in your organization. 3. Enter a four-digit identifier for the period. 4. Enter a start date and an end date. 5. If you want currency conversion to take place on a specific date, enter a date in the Key date field. 6. If you do not enter a date in the Key date, the system will use the system date.